This article describes what skill acquisition is in a simple manner, including best practice. Why is skill acquisition important? In general, motor skills are tasks that require voluntary control over movements of the joints and body segments to achieve a goal. Some prominent examples include riding a bicycle, walking, reaching for your coffee cup, jumping, running, and weightlifting. The learning and performance of these skills are what movement scientists refer to as motor learning and control, or skill acquisition. Whether it is achieving full extension of the knee after ACL reconstruction surgery, learning how to walk again, or increasing your shooting proficiency in basketball, the study of motor learning and control plays an integral role in both the performance and rehabilitation of these skills. This article is a general introduction to the science and philosophy of motor learning and control. After defining several key terms, we review the stages of learning and present two theories of motor control, all whilst paying tribute to those who introduced this very science to the world. Skill acquisition, also referred to as motor learning and control is the interdisciplinary science of intention, perception, action, and calibration of the performer-environment relationship. In particular, skill acquisition is an umbrella term specific to the knowledge of and knowledge about what behavioural and neurological variables influence central nervous system adaptation in response to the learning or re-learning of a motor skill . In simplified terms, skill acquisition refers to voluntary control over movements of joints and body segments in an effort to solve a motor skill problem and achieve a task goal. The study of motor learning and control is a comprehensive approach to understanding human movement outside traditional biomechanical interventions. As an interdisciplinary science, skill acquisition engages experts in neuroscience, physiology, psychology, biomechanics, and coaching, as an avenue to research how the neuromuscular system functions to activate and coordinate the muscles and limbs involved in the performance of a motor skill. While there are many different theories surrounding skill acquisition and the practical tools used to improve it, there is still a considerable lack of knowledge which details exactly what is acquired during skill acquisition and which practices are best in order to develop these skills. Aruajo and Davids  tried answering this question in their paper titled “What Exactly Is Acquired During Skill Acquisition?” They concluded that skill acquisition is defined as a teleonomic process which involves a continual adjustment. The reason they use the words “continual adjustment” is because skill acquisition occurs through the creation and adaptation of a functional relationship with the environment, rather than the formation of an entity . In other words, it is always being adapted to the environment. Ever since its inception, skill acquisition has evolved from a subfield of psychology to its own vast interpretation of the brain-behaviour relationship. Although there are many skill acquisition theories (discussed later on in this article), pioneers from across the globe do, however, agree that an important characteristic of skill acquisition is that people go through distinct stages, often referred to as the “stages of learning”. There are predominantly three interpretations of the stages of motor learning. Fitts and Posner  were the first to develop a three-stage continuum of practice, while Ann Gentile  came several years later and introduced a two-stage model. Nikolai Bernstein , whose work was recently published in English, was a neurophysiologist who was interested specifically in motor control. He theorized the evolution of movement through an abstract yet evidence-based approach. While all of them appear to share similarities, they differ in their own respective perspectives on how perception and action play a coupled role in skill acquisition, with Bernstein arguing that a motor skill is learned through solving a motor problem. To put it in simpler terms, Fitts, Posner, and Gentile’s theories are like learning the multiplication table, whereas Bernstein’s theory is learning PEMDAS and solving complex problems. To better understand this, several examples are explained. In the late 1900’s, Fitts and Posner  developed a three-stage continuum of practice model. The first stage was called the ‘cognitive stage’, where the beginner primarily focuses on what to do and how to do it. To put this into context, a volleyball player might ask “how high should my serve toss be?” for example. The learner closely pays attention as he or she receives feedback from the coach. This stage is usually filled with numerous errors, large gains, and lack of consistency. The coach plays a crucial role in walking the fine line of feedback being a cognitive task and not a mechanical intervention. Another name for this stage is the verbal-motor stage. The second stage in this model is known as the ‘associative stage’, where after an unspecified amount of practice, performance starts to improve. The person is now associating specific cues to solving the motor problem he or she is facing. Smaller errors and better consistency is shown because the basic fundamentals have been established and are now being refined. Naturally, performance variability will decrease here. The learner expends a lot of conscious effort here, often times focusing primarily on body movements. Another name for this stage is the motor stage. The third stage in this model is the ‘autonomous stage’, where the skill has become automatic. There is little to no conscious thought and the learner can often do another task at the same time, such as hold a conversation. Self-learning becomes huge here because skilled performers can detect their own errors and make the proper adjustments. As a coach or clinician, Fitts and Posner  made it clear that not many will reach this third stage. As referenced by Magill and Anderson , Your instruction alongside the task variables and practice structure determine the achievement of this stage. In 1972, Ann Gentile  proposed Gentile’s two-stage progression model viewing motor skill learning as goal-relevant. In the initial stages of learning, listed below (Table 1) as a practice progression model, movement pattern is one of two important goals for the learner. He or she is faced with the daunting task of adapting to regulatory conditions or characteristics of the environmental context to which movement characteristics must conform if the action goal is to be accomplished . By action goal, we represent the means to which the goal of the task is accomplished. For example, if a volleyball setter is using a setters ball, which tends to be heavier than a regulation volleyball, he or she must focus on developing the arm and hand characteristics that match the physical characteristics. Think about lifting a 10kg weight and a 50kg weight. There is a different movement pattern that best suits each goal. Another example is after an Anterior Cruciate Ligament (ACL) reconstruction, an individual may need to practice walking up the stairs. Regulatory conditions include the number of steps, the size of each step, and the shape of the staircase, just to name a few. Alongside this, the second goal is to discriminate between regulatory and non-regulatory conditions within the environmental context. Non-regulatory conditions are those characteristics of the environment that have no influence or remain as indirect influences on the movement characteristics required to achieve an action goal . Using the same ACL example, the colour of the surrounding walls is an example of a non-regulatory condition. It is important to point out that the literature is now focusing more on these indirect influences, particularly when providing choices to the learner . In order to master these two goals, the learner needs to explore a variety of movement solutions. By doing so, he or she engages in cognitive problem-solving. 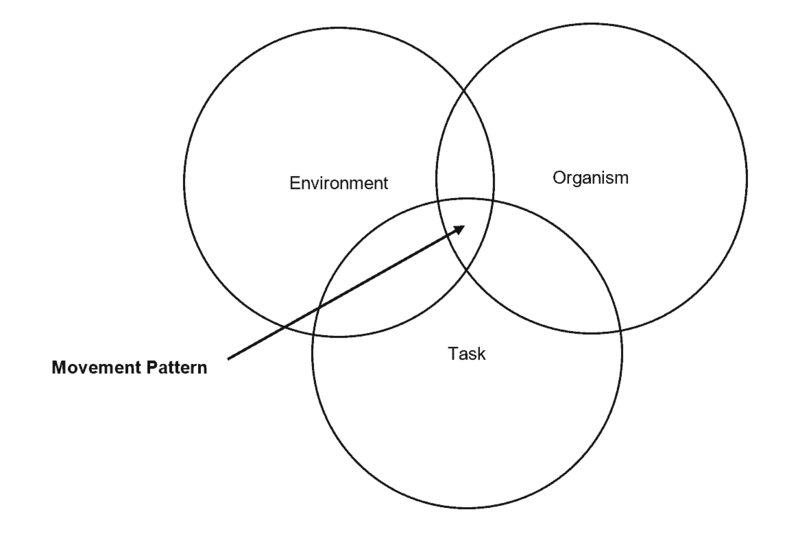 The movement pattern established becomes a generalised concept, neither consistent nor efficient. The later stages of learning (Table 1) is where the learner acquires three general characteristics. He or she needs to adapt the movement patterns to specific constraints, increase consistency in solving the motor problem, and perform the skill with an economy of effort. To facilitate this, the coach again needs to identify task variables, set key variable parameters, and induce contextual interference effects accordingly. (Recreated in reference to Magill and Anderson, 2007). While Gentile’s two-stage model continues to be used today, many skill acquisition specialists now advocate for the lost treasure of Nikolai Bernstein, who described the learning process as below. First Phase: Solving a motor problem, what level takes the leading role? Second Phase: Developing a motor representation or strategy to approach the problem. Third Phase: Identifying the most appropriate sensory corrections. Fourth Phase: Corrections are handed to the background level and are engaged without conscious awareness. Bernstein  quickly argued that skill acquisition begins by solving a motor problem, highlighting the term “problem”, thereby providing a comprehensive description of how difficult skill acquisition really is. Think about your house key, the only way your door is going to open is if that key fits perfectly into that lock. However, in process of doing this, you have to take the key out of your pocket, through space, into the keyhole, and only through a process of grip precision and rotation will your door open. To break this down even further, the only way you learn this task is from accumulating experience growing up where you reached for your mother’s cheek, grabbed the toy off the table, put blocks into your playpen, and so on. Bernstein creatively simplified this through four levels. First, there is a leading level, the level of actions (level D) which is responsible for planning and exercising control. Then comes the older evolutionary levels which provide mechanisms for constructing movement. Bernstein put it simply as “coordinating movements with external space (level C), organising muscular synergies (level B), and regulating muscle tone (level A). “Repetition without repetition” as famously stated by Bernstein himself reminds us that no two movement patterns will ever be the same. Therefore, it is imperative not to engage in rote, repetitive practice when the idea of transfer engages variable, complex, and cognitive situations – this is done through varying parameters of each level. It is important to think about how we’ve evolved as humans, essentially dating back to the prehistoric era where knuckle walking was the rarest form of locomotion presented by our ancestors, and many years later, we figured out how to walk upright due to a complex interaction of all the levels and the environment. Another example is: If it wasn’t for level A, how did a frog learn to come out of the water to walk and jump? In fact, when learning how to serve a volleyball, coaches start from level A and work their way up to level D after a certain period of practice and drills. The best part is that what we learn at these levels translate to other tasks (e.g. a volleyball serve mimics a baseball throw). The second phase is developing a strategy to approach the problem. This can be related back to Fitts and Posner’s  ‘cognitive stage’, where the learner is figuring out how to achieve the task goal. According to Bernstein, the learner recruits and assigns roles to the lower levels. For example, what muscles and how much of the muscle contraction capability will be recruited. If you are being chased by a rattlesnake, there will clearly be more muscle contraction than if you are running a lap around your local track. Either way, you are still engaging in the motor skill of running, but with different task goals. One thing that separates Bernstein from the others is the role of sensory corrections  as stated above, shedding light to automatic feedback control. Think about how easy it is for you now to take a key out of your pocket and open your door. Many researchers allude to this as the movement strategy. Thus far, we have built an orchestra, where all the components have learned their part. Now, we are ready to rehearse as a full orchestra. Harmony, standardisation, and stabilisation are key components to the final phase in this model. The learner is able to counteract external perturbations and disruptions that prevent the skill from being de-automatised. To solve a motor problem consistently under a variety of conditions, the learner must experience as many modifications of the task as possible, a form of repetition without repetition . Thus far, we have discussed three relevant and prominent stages of learning theories. While they share their similarities and differences, skill acquisition is much deeper than this. The brief overview above leads very well into the next section which explains two general motor control theories. The main issue that researchers face is how does the body (muscles and joints) move independently in one or more planes to carry out the desired movement (coordination)? In fact, what researchers are currently grappling with is how these perspectives and theories may share the same underlying principle of ‘noise’ or ‘variability’ as it may relate to motivation and attentional factors. A common phrase in the motor learning and control literature is the ‘degrees of freedom problem’ . Simply put, there are many ways to coordinate our muscles and joints in order to solve a motor problem. Going back to the key example above, you can differ in the hand you use, the number of fingers you use, the number of other tasks you’re doing simultaneously (e.g. like talking on a phone, etc.). From start to finish, we need to solve the degrees of freedom problem, that is, be able to control the body to produce the desired movement within any given situation. The following theories account for how the nervous system solves this problem. The first is the motor program based theory which is a hierarchical oriented theory. Schmidt  defines a motor program as an abstract representation of a movement plan, stored in memory, which contains all the motor commands required to carry out the intended action. It represents a class of actions that can be modified to yield various response outcomes. For example, a bilateral vertical jump is the displacement of an individual’s centre of mass. This is no different than a single-leg vertical jump, hopping a fence, or going up the stairs. Think about a library where when you search for William Shakespeare, you get to a section of all of the books relevant to that author, despite the exact title of the book you are looking for. There are underlying invariant features that do not change regardless of what you do. These are features that remain unchanged regardless of changes in the conditions of measurement. A vertical jump will always be the displacement of an individual’s centre of mass while the section of books at the library will all be from William Shakespeare. At the same time, the learner needs to adapt parameters to the different task demands. Each motor skill has invariant features which are fixed (e.g. relative timing, relative force, sequence) which changes from situation to situation. A motor program is a pre-structured set of commands that are constructed at the highest cortical levels and then conveyed to the lower centres within the hierarchy responsible for executing the movement. In other words, you have developed a motor program which no longer needs conscious thought. For example, when you walk, are you thinking about dorsiflexion and plantar flexion? The outcome of the movement (i.e. actual outcome and intended outcome). All of this occurs through two mechanisms. ‘Recall schema’ essentially means organizing the motor program so it initiates the movement and control. ‘Recognition schema’ evaluates and compares the outcome using sensory information. In other words, the former updates the system and the latter revises it . Conclusively, the generalized motor program represents a class of actions or patterns of movement that can be modified to yield various response outcomes. Invariant features are relatively fixed, whereas parameters are flexible features that define how to execute the generalized motor program, easily modified from one athlete to another. The second theory of motor control is the ‘Dynamical Systems Perspective’. This is a non-linear perspective where the movement pattern emerges as a function of the environmental, organismic, and task constraints. All the information that is needed for the movement to be successful is found in the environment and can be observed by the learner. There is no hierarchal control here because cooperation amongst the small systems (e.g. muscular, skeletal, neurological, and biological) has no commander, meaning the movement self-organizes. A constraint limits the movement capabilities of the individual . As stated below, and as seen in Figure 1 below, there are three categories of constraints. Organismic (e.g. structure/functional) include body shape, weight, height, cognitive, etc. Environmental constraints include temperature, light, wind, audience, etc. Task constraints are essentially the rules of the game, goal of the task, and the implements being manipulated. A result of the interplay of these constraints (Figure 1) is our stable state. A learner prefers to be in a stable state, which is also known as the ‘attractor state’ within the motor control literature, and it is what we prefer. When a change in the constraints occurs, the stability of our system is in danger. The movement pattern is forced to re-organise and the new technique will begin to take over and stability will be regained. Think about increasing the speed on a treadmill where you can no longer walk and are forced to run. For researchers in injury prevention, the time period from perturbation to stability is where the injury research needs to head. Moreover, control parameters like direction, force, speed, and perceptual information are variables that move the learner into the new attractor state. This perspective emphasises the interaction between the learner and the physical environment. Therefore, coordination is seen as an interaction of constraints, stability, and requisite ability; not so much a preset of commands like the generalised motor program. While not in the scope of this introduction, there are psychological factors that aid in identifying context parameters for which an action can be selected. These include affordances, attention, motivation, cognition, experience, and more. Being that skill acquisition is still in its infancy, researchers are still trying to figure out what best practices enhance the motor learning process for complex and applied motor skills outside of the lab setting. Traditional approaches to skill acquisition have failed to capture motor learning as a reflection of exploratory activity. In other words, we are still in the age of reproducing static representations of a movement, conditioned to follow demonstrations overloaded with instruction (i.e. over-coaching) and, therefore, we seem to be losing sight of the complexity of movement as a product the performer and his or her environment. This is particularly apparent in the youth coaching methods used in developed countries by the means of repetitive, non-exploratory drills (i.e. line drills). It is, therefore, imperative that we further the dialogue, perhaps towards the ecological (i.e. dynamical systems theory) approach to perception and action. Another issue seems to be a collective approach to understanding the underlying similarity amongst all motor learning and control theories and perspectives. It may be that ‘noise’ or ‘variability,’ as a function of motivation and attention serves to be an answer. Of course, this is nothing but intuition and it needs to be further investigated especially within open skills. In conclusion, skill acquisition bridges the gap between the science of coaching, rehabilitation, strength and conditioning, and recovery. It is the foundation of sports science that all practitioners, coaches, and clinicians should understand. Most importantly, it is an interdisciplinary approach to understanding the brain-behaviour relationship. 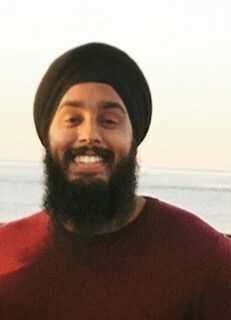 Harjiv Singh is a graduate from Columbia University’s program in motor learning and control. He is a former professional volleyball player and is currently a PhD student at the University of Nevada in Las Vegas (UNLV) studying motor learning and control. He is a coffee enthusiast and enjoys reading, writing, and hiking.